KATY, TX (KTRK) -- Two families and a community are dealing with the sudden loss of two young people. Katy students Trent Weber and Terra Kubala were both killed in an accident over the weekend. There are still a lot of unanswered questions, including exactly what happened when the pickup truck full of students flipped over Saturday night. A detective from the Ft. Bend County Sheriff's Office was at the crash site Monday afternoon, checking for more clues into what happened. Investigators say if you look at the paint marks following the tire marks on the dirt road, it's clear the car was swerving. Deputies say the wreck happened with five people riding in the cab of the pickup truck and eight to ten people sitting the bed. 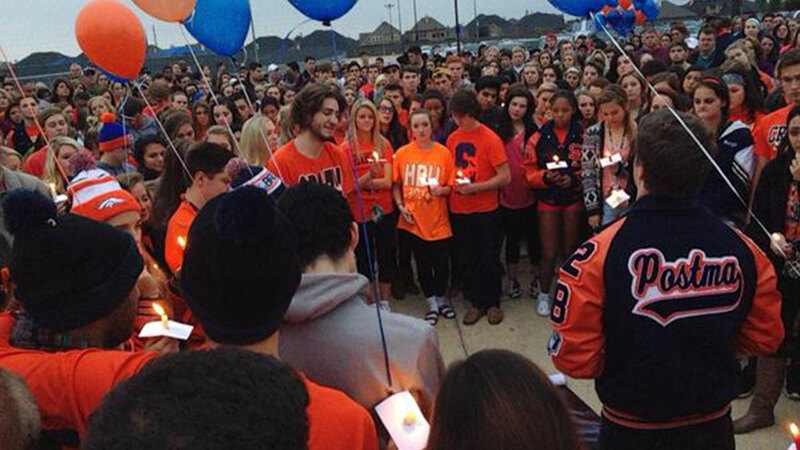 It left Trent, a student at Seven Lakes High School, and Terra, who attended Cinco Ranch High School, dead. This accident is just one of several fatal teen accidents, including one in Freeport and another in Alvin, since the school year has started. Driving experts say it comes down to inexperience. "The real trouble with teen driving is we're not giving them enough hours of training behind the wheel before we give them a license," said Brandon Coleman with Safeway Driving. "The state minimum is seven hours." "Texas Department of Transportation officials say so far this year, there have been 217 teen deaths resulting from car accidents. They say at this rate, we are likely to surpass last year's number of teen deaths which 222. As for this crash, the sheriff's office says they are waiting for a number of reports to come back, like the blood alcohol content of the driver, before they decide whether to file charges. In the wake of this accident, we wanted to find something that may help parents prevent similar tragedies with their teen drivers. One way is with GPS tracking devices. Not too long ago, Consumer Reports tested three of them -- Mobi Co-pilot, Mastrack and MotoSafety. The devices are easy to install. You simply plug it into the car's diagnostic port under the dashboard and with it, you can monitor your teen's driving. You'll go a website where you can see how fast your teen is driving where they are and if their car is going too fast or goes outside a boundary you've set up, the device sends you an email or a text alert or both. You can also find out where your teen's car was stopped and for how long. The prices vary, with the Mobi Co-pilot being the most expensive out of the three and Moto Safety at $80. Then you'll pay for the monthly service, comparable prices with two of them at $20 a month. According to Texas state law, teens are required to go through a 32-hour prep course, 30 hours of driving with a parent, 7 hours of observing another teen drive and 7 hours of certified driving instruction. The national recommended standard set by safe driving organizations for certified driving instruction is 10 hours.